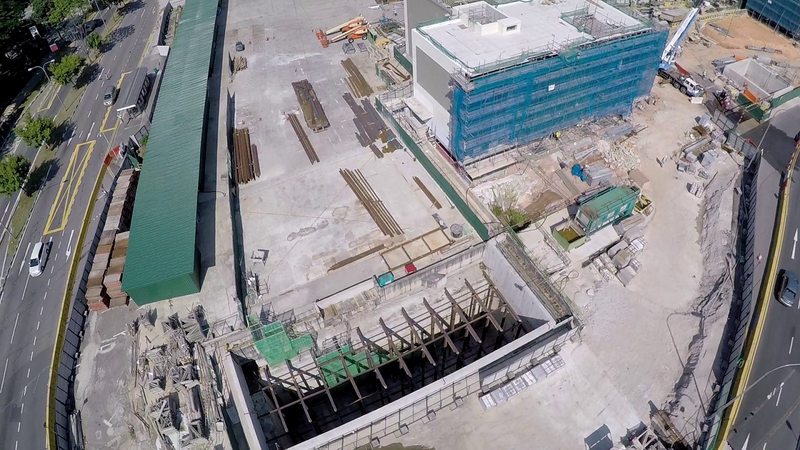 The steel frame segments for the roof of Entrances A and B have been installed here at Beauty World. 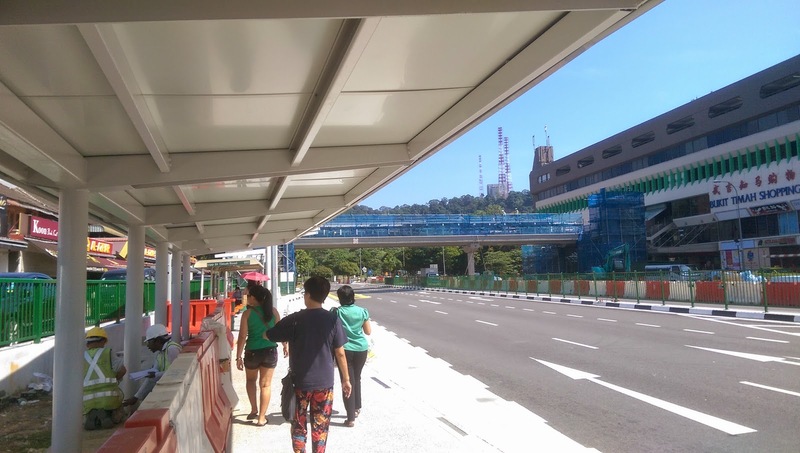 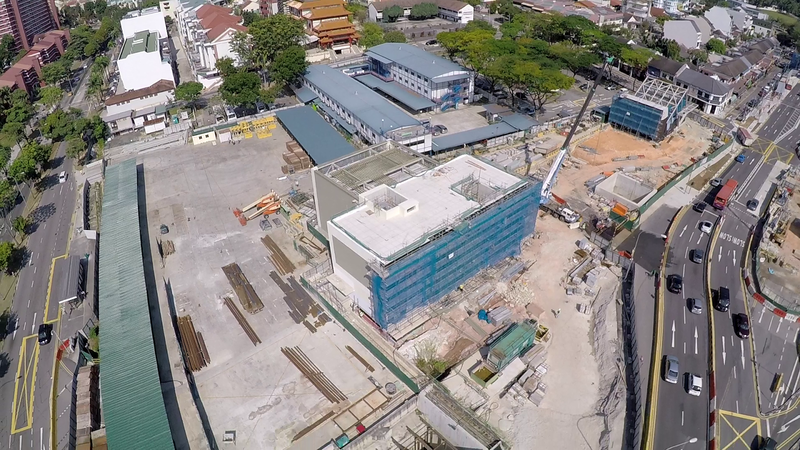 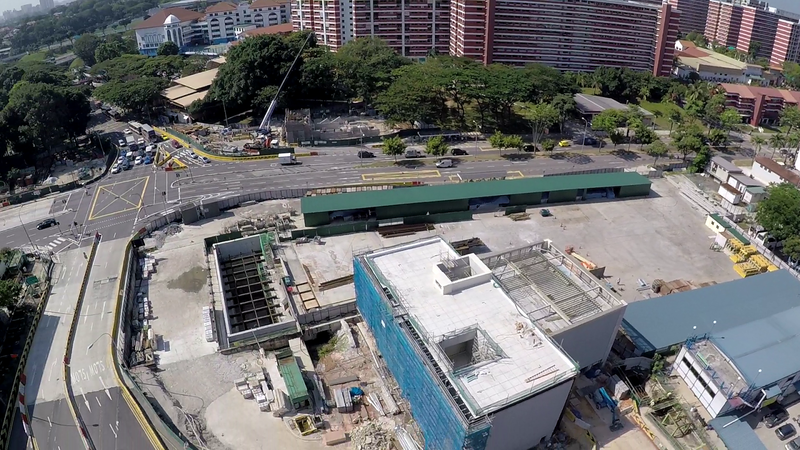 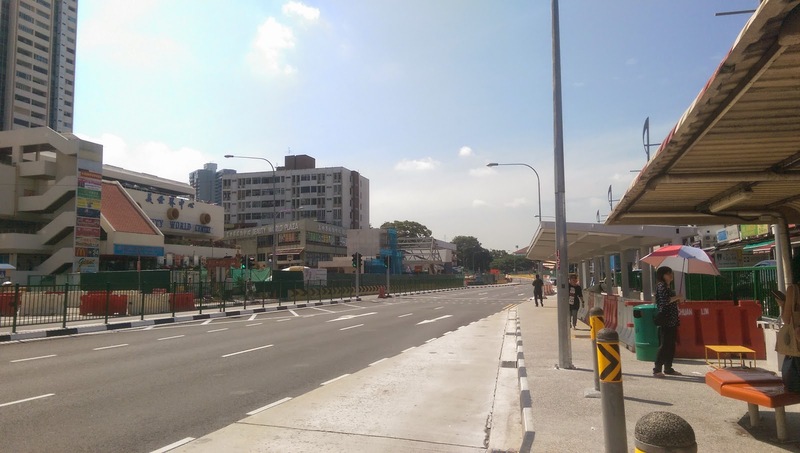 RC works for Entrance C along Jalan Jurong Kechil are almost completed and similarly, we expect the entrance's roof to be installed by the next quarter. 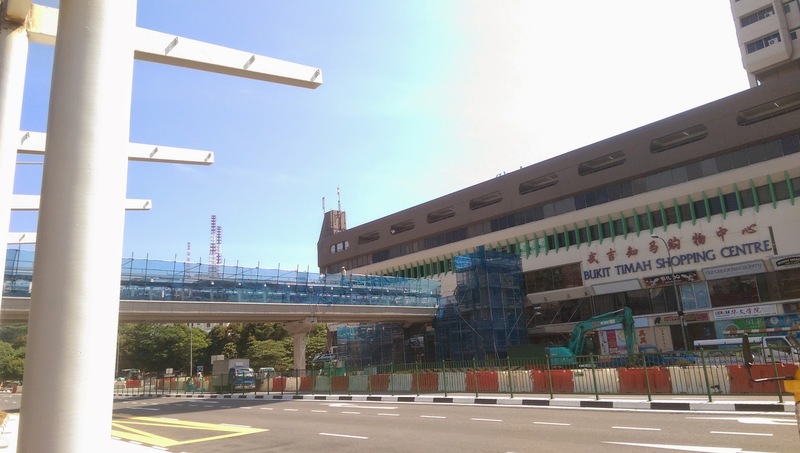 Reinstatement works continue above the former C&C site with the new POB beam launched up and frames for the covered linkways around the area beginning to emerge. 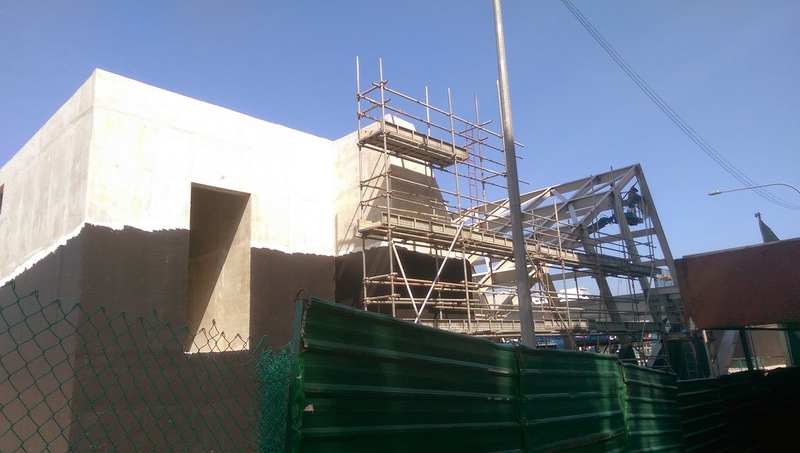 The cooling tower has been successfully covered up with grates and is being painted. 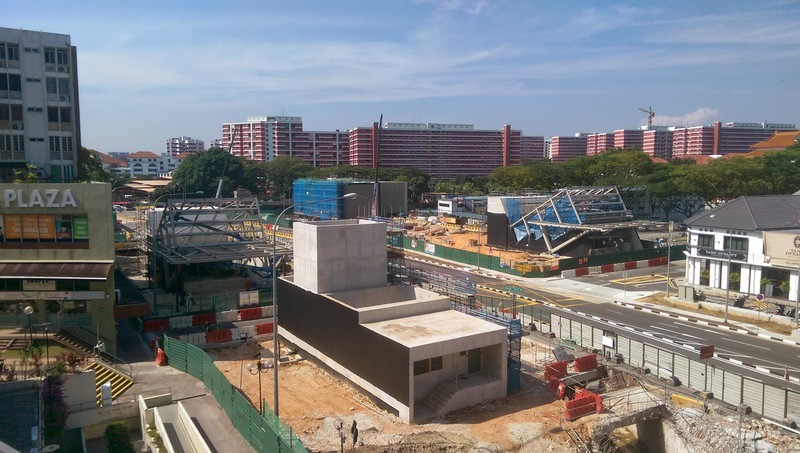 Photos in this update were taken on February 25. 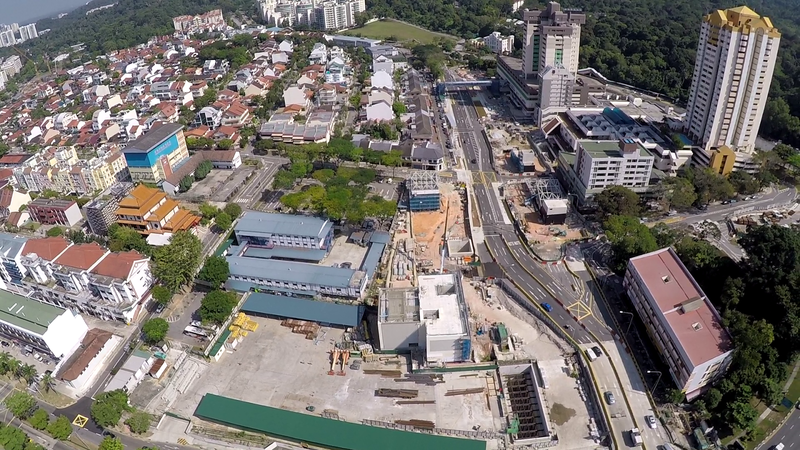 2 road projects - ER480 & ER487 are currently in the process of tendering. 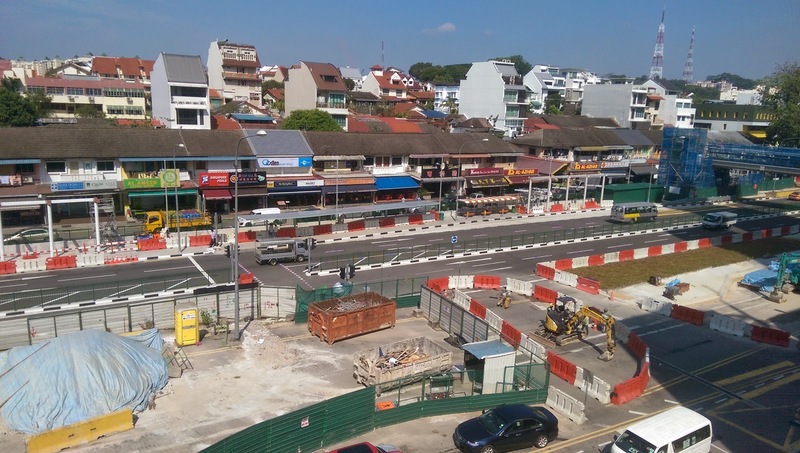 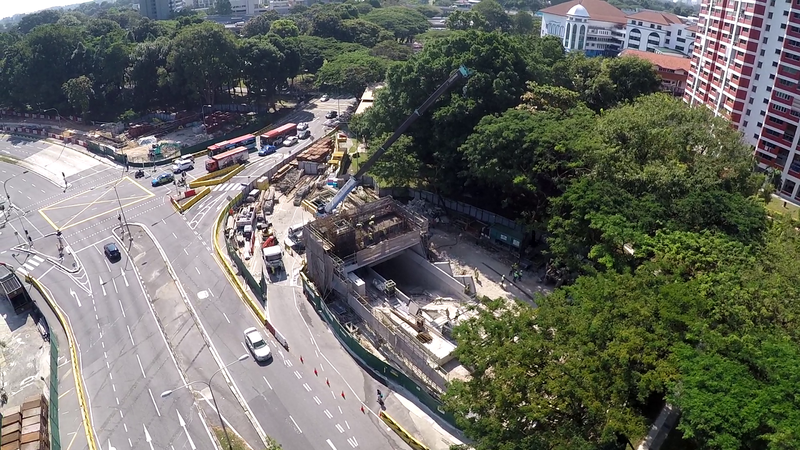 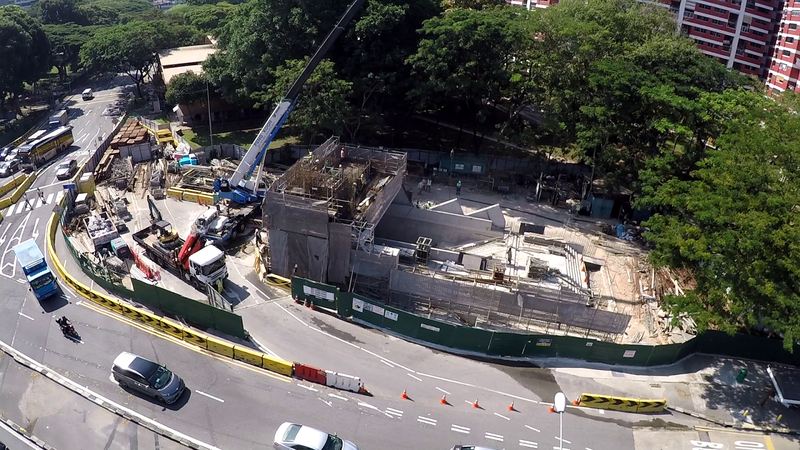 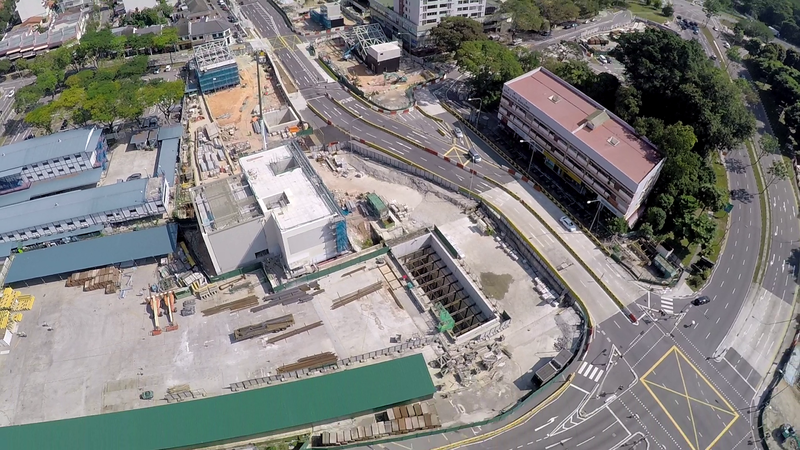 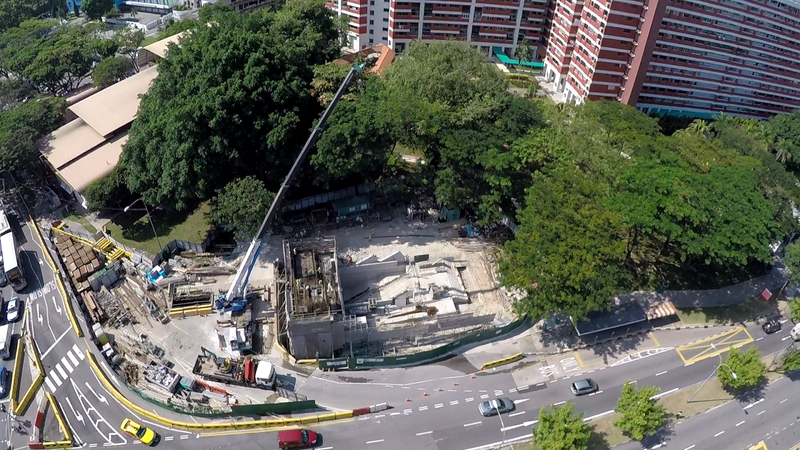 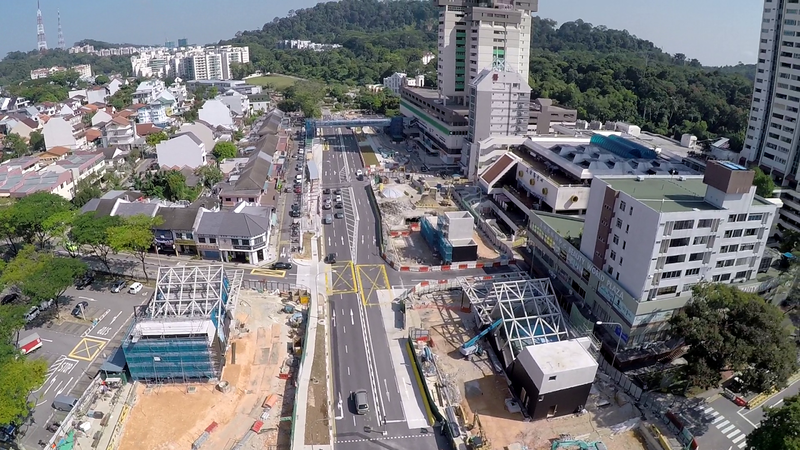 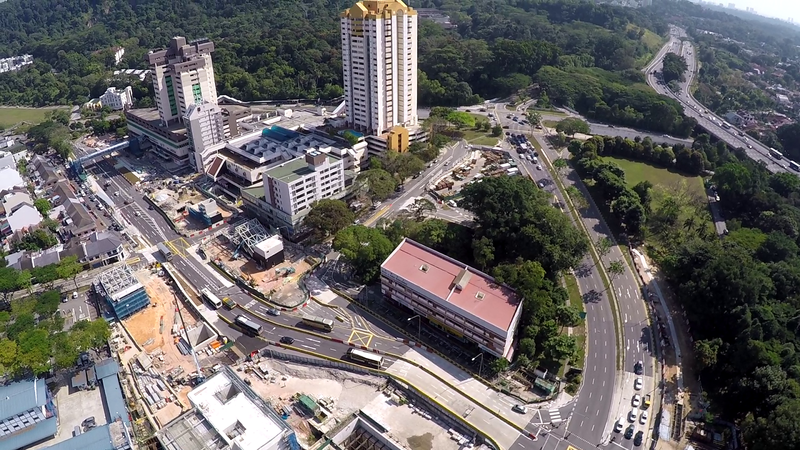 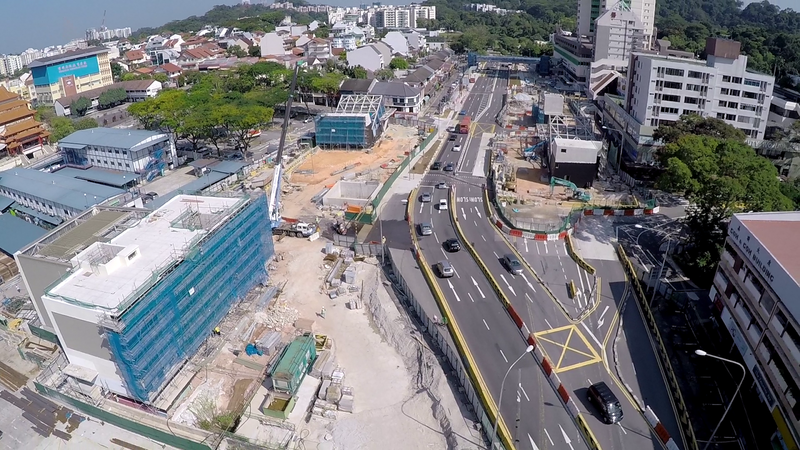 The scope of works include converting the section of Upper Bukit Timah Road between Jalan Jurong Kechil and Clementi Road into a bi-directional traffic. 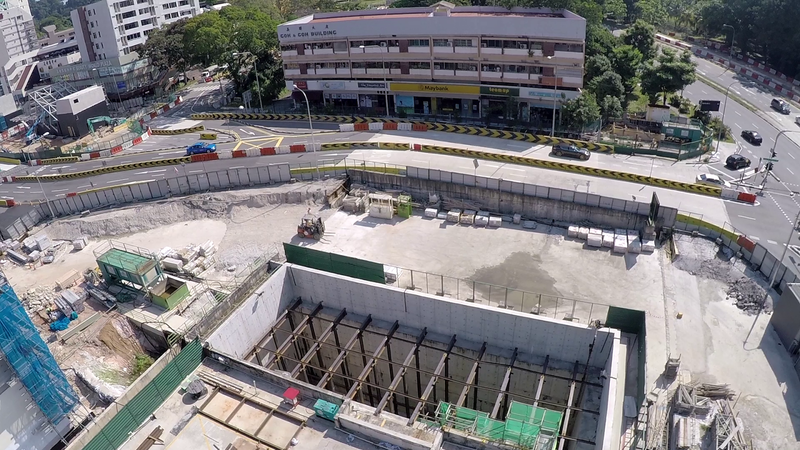 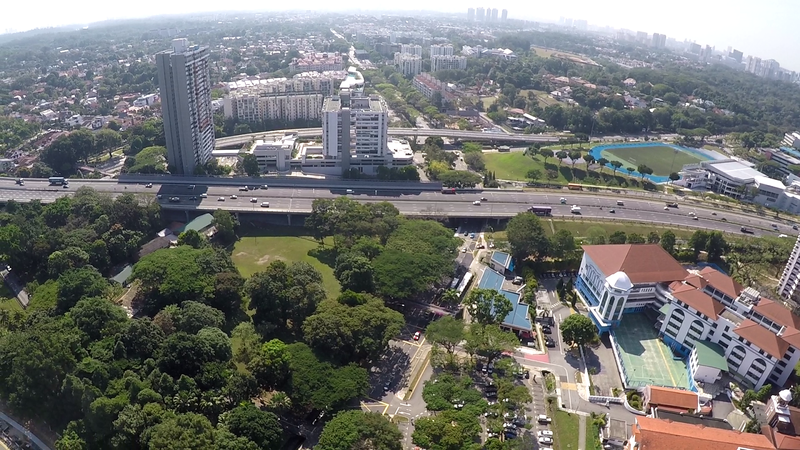 This would offer motorists travelling from JJK to Dunearn/Clementi a more direct route of travel in the future and alleviate existing traffic congestion above the Anak Bukit Underpass. 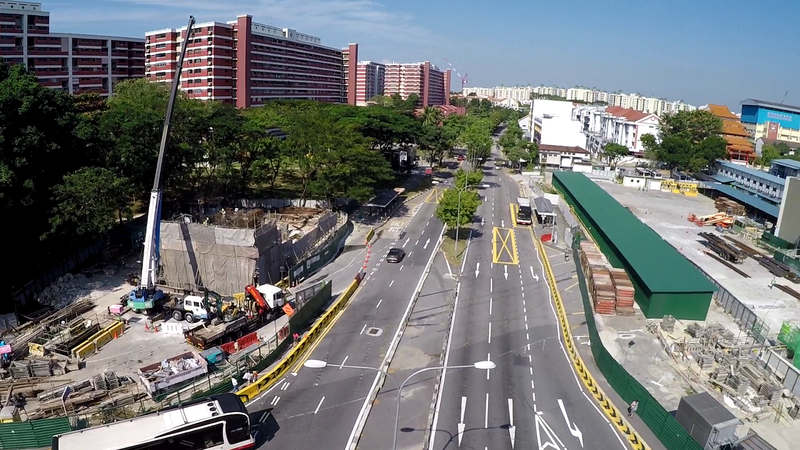 In addition, modifications will be made along UBTR near Hindhede Road to allow for town-bound public buses to turn right to Beauty World. 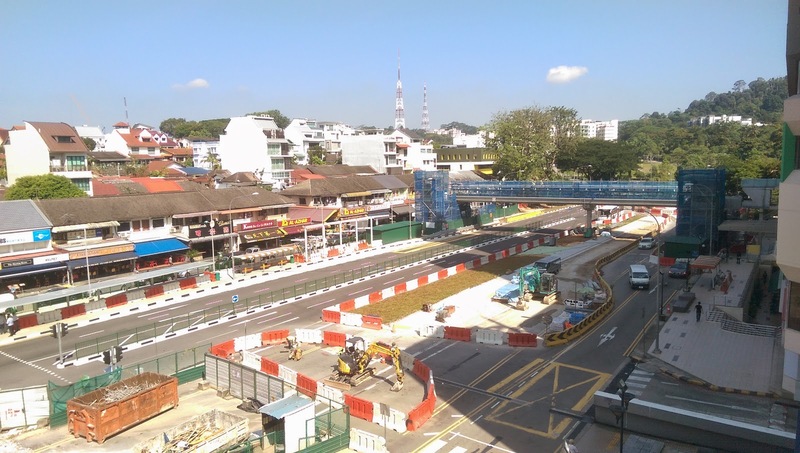 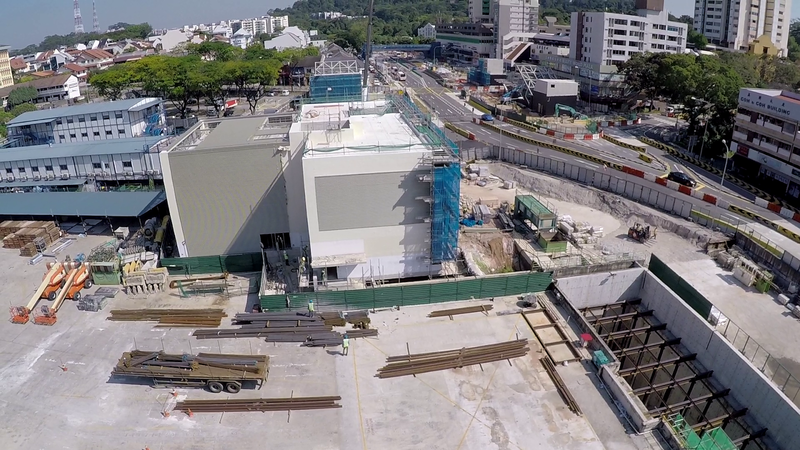 Works on the road project will commence upon the opening of the DTL2.